Sign up today & check often for new classes! Some of our previously held workshops! 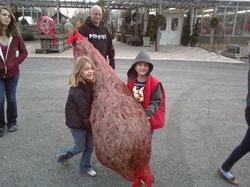 Picked the perfect tree! Great helpers! Come celebrate our fifth season and our annual holiday open house. 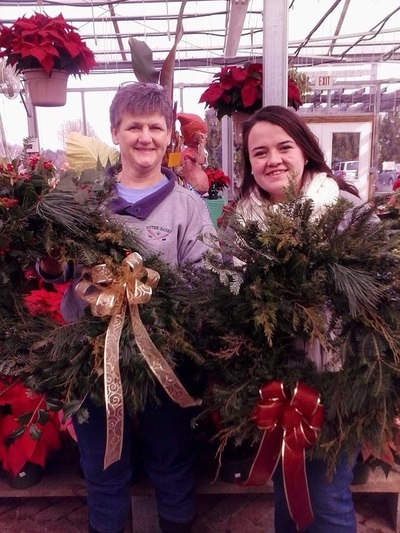 Fresh refreshments, holiday treats, best Christmas tree selection, classes, and so much more! See below for our classes this weekend! We hope to see you here. We will be having a special drawing for all of our customers this weekend. Maybe you will be the lucky one! 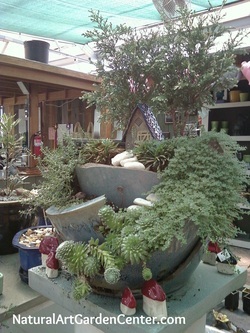 We are very excited to offer our Broken Pot Mini Garden Workshop this fall. In this workshop, we will provide all the supplies you will need to build your very own miniature garden. If you would like you can bring your own teacup. 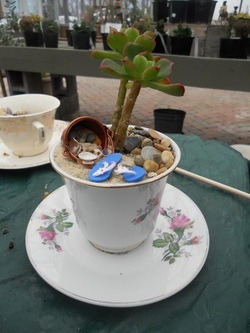 Class Fee is $20 for the class which includes instructions, and everything you will need to build one miniature teacup garden. We will teach you some tips and tricks in building the garden from our experiences in creating these one-of-a-kind masterpieces! Please sign up below or by calling 540-436-3130! Class fee includes teacup, one plant, one accessories, soil, rocks, mulch and all the instructions to complete this one-of-a-kind garden. Great for a gift or keep for yourself! Make your own wreath like the pros. Supplies provided. 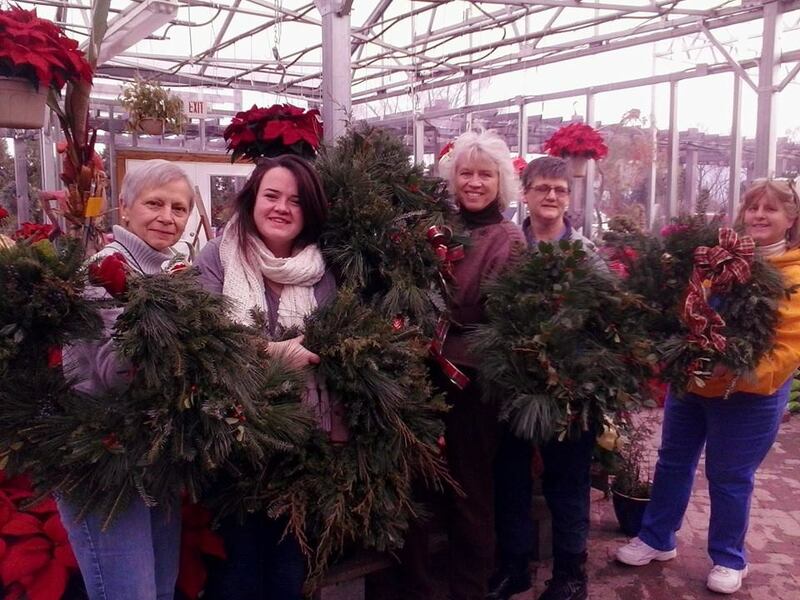 You can bring your own greens, decorations, and ribbons. We will teach you some tips and tricks in building your wreath from my professional experience in creating wreaths for over 15 years. You will go home with a masterpiece that you created! What a lasting memory to make with someone special. So gather up your friends and join in on the fun. SUPPORT STRASBURG FFA by coming to this class at Strasburg High FFA Ag Shop. 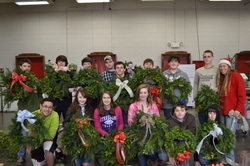 $10 of every wreath to be donated back to Strasburg FFA! You pick the date in December! 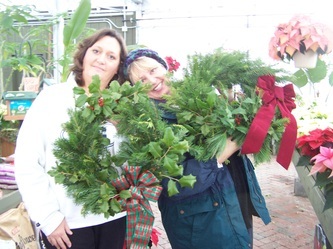 We are very excited to offer our Broken Pot Mini Garden Workshop this holiday season. In this workshop, you can bring your own broken pot or we can break one (just buy the pot)! You will get to build your own garden and take it home with you! Class Fee is $20 for the class which includes instructions, soil (up to 12 inch pot), rocks, and mulch. Additional supplies of plants, mini garden accessories will be available a la carte. We will teach you some tips and tricks in building the garden from our experiences in creating these one-of-a-kind masterpieces! Call 540-436-3130 for details! RSVP to 540-436-3130 or eatmoreapples@aol.com. 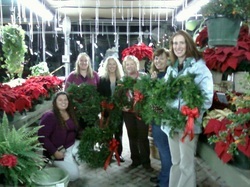 Wreath Workshop Ready To Decorate! Gather your friends & family together for a great time of festivity making. You can choose from several activities including making your own miniature garden, Holiday Wreath, Centerpieces, Porch Pots, and more. Call 540-436-3130 or email for details. We also can do parties at your home as well. We take our show on the road which is so much FUN! Ask us how! Weebly gets you up and running!